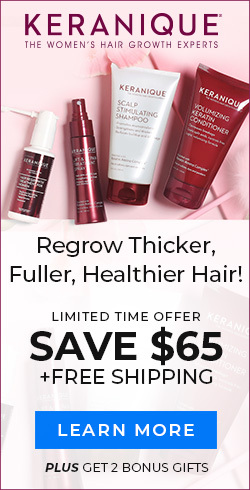 Have you ever wanted long, beautiful hair as soon as possible? If so, you may have also considered hair extensions. 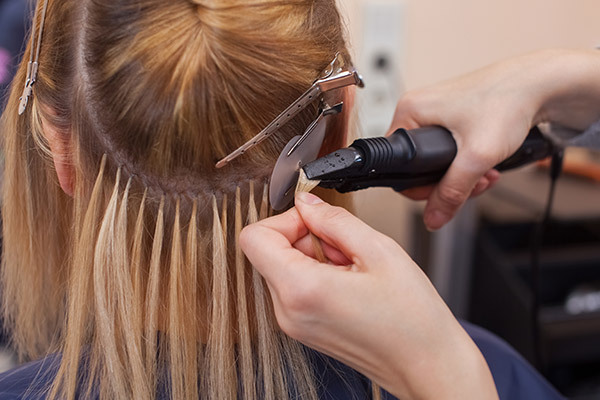 Getting hair extensions can seem like an expensive and daunting process. You may find that it isn’t as scary as you thought once you learn more about hair extensions and talk to a trusted hairstylist. Do extensions damage your natural hair? In a word, no. If you see a skilled hairstylist and take care of your extensions, they will not damage your natural hair. Just keep in mind that you will have to change up your hair care routine. You will also have to check them thoroughly every five to seven weeks to make sure the extensions are not damaging your hair in any way or getting tangled. Your hair stylist should give you all the instructions on how to take care of your new extensions as well as new products to use on them. Why do extensions get so dry? You will need to use more moisturizing products on your extensions because hair extensions do not produce natural oils. This means they can become drier than your natural hair. They are very dependent on moisture and oil. How do I make sure the extensions look natural with my hair color? Your hair stylist can help you choose the right color so they will blend in and look natural. You can try different colors and styles until you find one that you like the best. Check out the extensions in different lights too to ensure you love the color you chose. For example, look at them in your hair in natural light, artificial light, and so on. Should I get temporary or permanent extensions? Keep in mind what your lifestyle is like and what look you are going for. Do you just want extensions for certain occasions or do you want them all the time? What type of hair do you have? Your hair stylist will be able to help you choose what type of hair extensions you want based on your lifestyle and what look you want. How long do they last? Depending on the type of extensions you chose and how well you take care of them, they could last for 6-8 weeks or up to three months. Can I get extensions that I can do myself? There are clip-on versions of hair extensions that are easy to do by yourself or with the help of a friend. These may not look as natural. If you want permanent extensions, you will need the help of a trained hairstylist. How long does my natural hair have to be to get extensions? Hairstylists generally recommend at least 10 centimeters of natural hair so that they can attach the extensions properly. How much will they cost? Depending on the amount, the type, and the quality, the price will vary. Ask about all of the pricing up front so you aren’t hit with a super high bill when you leave the salon. Have you ever considered getting hair extensions? Did we answer your questions or do you have any other concerns? If you enjoyed this article, please SHARE with your friends and family who might be considering getting hair extensions! This could help sway them in one direction or another. This article is not intended to treat any disease or offer a substitution for professional medical advice. This entry was posted in Featured, Hair Care, Hair Styles, Hair Tips and tagged extensions, hair extensions, hair weaves, weaves. Very interesting. I have been mocked all my life because I have very fine limp hair. I am afraid the extra weight may pull out the hair I do ,have. Is this a realistic worry? Thank you. I am so sorry to hear that people have been unkind to you, Dorayne! There are many types of hair extensions that won’t damage your existing hair, however you will want to make sure that they are checked every 5-7 weeks to make sure that your existing hair remains healthy and not tangled. We definitely recommend discussing the options with your hair stylist to determine what would work best for you! I will like to have the hair expention my hair is very thin. Hi Daisy, Hair extensions are a great way to provide thicker and fuller hair. We recommend, for best results, discussing your hair extension options with your hair stylist as they will be able to suggest the best option for you! can I get hair extension to cover bald spots,I don’t have much hair in these sections to attach can it be done? Great question, Pat! Hair extensions can be incorporated to help cover balding spots – keep in mind you will usually need at least 10cm of healthy hair to be able to integrate extensions into your hair. We advise that you speak with your hair stylist to determine what would work best for your hair. I did get hair extensions once , they caused bald spots in my head. Mine was real hair witch coast $350.00 which I still have. Is there any way I can make these hair extensions into clip-ons. If so how much will it cost? Hi Linda, I am sorry to hear about your experience with extensions. A quick internet search populated multiple resources on turning your own extensions into clip-ons, alternatively we recommend checking with your hair stylist, as they may advise a different route for you. Please cancel any future orders for your products. I still have the product and will order as needed. Thank you for reaching out – I have sent a contact request to our Customer Relations Liaison, to better assist you with cancellation your account. Anyone considering extensions should check out a product called a ‘Halo’. It is a sort of temporary extension made of the finest human hair that you can put in and take off daily all by yourself. Your hair stylist can probably order one for you so that you get the exact color you need, and, upon arrival the stylist can trim if necessary and show you how to use your Halo. I have very fine hair and cannot wear regular extensions, so the Halo is a perfect choice for me.